Conflict as to Whether the Automatic Stay Tolls Statutory Redemption Periods - Gensburg Calandriello & Kanter, P.C. Courts are divided as to whether statutory redemption periods are stayed by Section 362(a) of the Bankruptcy Code. There are also competing views as to whether the tax purchaser holds a claim treatable in bankruptcy, e.g., through a Chapter 11 or 13 plan. This article details these divergent views. Courts have held that if the automatic stay of Bankruptcy Code Section 362 were found to prevail over Section 108(b), the effect would be to enlarge property rights granted and circumscribed by state law, thus rendering the pertinent time allotment of Section 108 unnecessary. Johnson v. First National Bank, 719 F.2d 270 (8th Cir. 1983), cert. denied, 465 U.S. 1012 (1984) and Counties Contracting & Constr. Co. v. Constitution Life Ins. Co., 855 F.2d 1054 (3rd Cir. 1988). Furthermore, specific statutory references, such as those referring to redemptions in Section 108, are held to control over those which are general, such as the general provisions of Section 362(a). In re Farmer, 81 B.R. 857, 861 (Bankr. E.D.Pa. 1988). Accordingly, a number of courts have found that Section 362(a) does not toll the running of the time period for redemption and that the only available extension of time for such periods is the 60 days provided in §108(b). See Johnson v. First National Bank Montevideo, Minn., 719 F.2d 270 (8th Cir. 1983); In re Martinson, 731 F.2d 543 (8th Cir. 1984); In re Carver, 828 F.2d 463, 464 (8th Cir. 1987); In re Whispering Bay Campground, 850 F.2d 443, 446 (8th Cir. 1988); Counties Contracting, 855 F.2d at 1059; Bank of Commonwealth v. Bevan, 13 B.R. 989 (E.D.Mich. 1981); In re Lally, 51 B.R. 204 (N.D. Iowa 1985); In re Tabor, 65 B.R. 42 (N.D. Ohio 1986); In re Josephs, 97 B.R. 151 (N.D.Ill. 1988); Cash America Pawn, L.P. v. Murph, 209 B.R. 419 (E.D.Tex. 1997); In re Markee, 31 B.R. 429 (Bankr. D.Idaho 1983); In re Hand, 52 B.R. 65 (Bankr. M.D.Fla. 1985); In re Roberson, 53 B.R. 37 (Bankr. M.D.Fla. 1985); First National Bank of Vermont v. L.H.&A. Realty Co., 57 B.R. 265 (Bankr. D.Vt. 1986); In re Brown, 73 B.R. 306 (Bankr. D.N.J. 1987); In re Liddle, 75 B.R. 4l (Bankr. D.Mont. 1987); In re Davenport, 268 B.R. 159 (Bankr. N.D.Ill. 2001) and In re Snowden, 352 B.R. 848 (Bankr. N.D.Ill. 2006). The Sixth Circuit and numerous Michigan courts have determined that §108(b) of the Bankruptcy Code automatically extends the statutory redemption period. In re Glenn, 760 F.2d 1428, 1440 (6th Cir. 1985) cert. denied, 474 U.S. 849 (1985) (holding that the presence of Section 108(b) in the Bankruptcy Code expressly grants an automatic extension of the statutory redemption period and Sections 362 and 105(a) do not apply). In In re Young, 48 B.R. 678, 680 (Bankr. E.D.Mich. 1985), a potato farmer who filed a petition under chapter 11 with only two days remaining on his one-year statutory right of redemption from a mortgage foreclosure sale of his farm, filed a complaint with the bankruptcy court seeking a determination that the statutory redemption period was extended 60 days from the petition date. Relying upon the Sixth Circuit Court of Appeals decision in Glenn, the court held that upon the filing of the bankruptcy petition, the time for redeeming the property from foreclosure was automatically extended by §108(b). See also In re Rutterbush, 34 B.R. 101, 102 (D.C.Mich. 1982) (Section 108(b) is clear Congressional command that rights of redemption purchaser can be stayed for no longer than sixty (60) days); Matter of Sabec, 137 B.R. 659, 669 n.20 (Bankr. W.D.Mich. 1992) (tolling of redemption period, in appropriate factual circumstances, occurs by operation of law under Section 108(b) of the Bankruptcy Code); In re Owens, 27 B.R. 946, 950 (Bankr. D.Mich.1983) (upon filing of bankruptcy petitions, debtors have minimum of 60 days to redeem property of debtors as to which debtors have right of redemption under judgment of foreclosure, even if statutory period of redemption were to expire in less time). The second line of cases, the minority position, suggest that the all-encompassing nature of Section 362(a) overrides the specific extension of time granted in Section 108(b), thus preventing the parties from taking any action with respect to estate property. These cases suggest that the property will remain property of the estate even after the expiration of the 60-day add-on redemption period. See, In re Johnson, 8 B.R. 371 (Bankr. D.Minn. 1981); In re Dohm, 14 B.R. 701 (Bankr. N.D.Ill. 1981); In re Jenkins, 19 B.R. 105 (D.Col. 1982); In re Sapphire Investments, 19 B.R. 492 (Bankr. D.Ariz. 1982); and In re Shea Realty, Inc., 21 B.R. 790 (Bankr. D.Vt. 1982). Finally, In re Psychiatric Hospitals of Hernando, Inc., 243 B.R. 524 (Bankr. M.D.Fla. 1999), has come to the conclusion that Section 108(b) does not extend the debtor’s right to redeem a mortgage for 60 days. The court noted that “Section 108(b) prescribes a statute of limitations for filing actions once a bankruptcy petition is filed. Section 108(b) does not extend the time that a debtor has to redeem a mortgage once property is sold at a foreclosure sale.” Id. at 527. A dispute exists among the courts as to whether a tax purchaser has a “claim” treatable in a Chapter 11 or 13 plan, where the plan, for example, contemplates a post-redemption period cure. In In re Lamont, 487 B.R. 488 (N.D.Ill. 2012), the court noted that the Illinois Tax Code did not provide a civil process for obtaining payment of the redemption amount after the tax sale. Instead, the tax purchaser holds a claim against a debtor in bankruptcy – a right to payment enforced by potential loss of the debtor’s home. The existence of a traditional debtor-creditor relationship was not deemed essential to the existence of a claim in bankruptcy. The court went on to explain that Illinois law viewed the tax purchaser’s interest as an in rem lien enforceable by receipt of a tax deed after expiration of the redemption period. This lien is a claim that could be treated in a Chapter 13 bankruptcy proceeding. In In re Romious, 487 B.R. 883 (Bankr. N.D.Ill. 2013) decided the issue in the context of an effort to cure delinquent property taxes through a Chapter 13 plan even though the redemption period expired during the pendency of the bankruptcy case. This issue involved the interplay between Code Sections 1322(b)(2) and 108(b). Citing to In re Bates, 270 B.R. 455, 466-67 (Bankr. N.D.Ill. 2001), the court noted that some courts have allowed Chapter 13 debtors to modify a tax purchaser’s right to receive payment prior to the expiration of the state law redemption period, and instead provide for payment of the purchaser’s claim in installments over the life of the plan. The court found the reasoning in these decisions persuasive. It stated that a tax purchaser has an in rem right against property owned by a debtor in a bankruptcy, which gives the tax purchaser a “claim” in the bankruptcy. 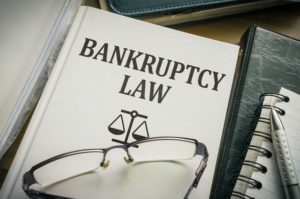 As long as the redemption period has not expired prior to the bankruptcy filing, that claim can be modified under a debtor’s Chapter 13 plan. Id. at 886. Debtors are not restricted by Section 108(b), which “must be viewed in light of and in comparison with the broad powers to modify claims accorded Chapter 13 debtors as well as the predominant policy of Chapter 13 to afford debtors the opportunity to save their residential real estate.” Id. (quoting In re McKinney, 341 B.R. 892, 902 (Bankr. C.D.Ill. 2006)). The Romious court went on to note that “the reason debtors ‘may use Chapter 13 to pay the tax debt over time * * * is that they are not exercising their right to redeem. Instead, they are using their Chapter 13 plan to pay a secured claim over time, as they are entitled to do because §1322(b)(2) provides Chapter 13 debtors the right to modify claims.’” Id. (quoting In re Kasco, 378 B.R. 207, 213 (Bankr. N.D.Ill. 2007)). In In re Blue, 247 B.R. 748, 751-52 (Bankr. N.D.Ill. 2000), the court focused on the relationship between the tax purchaser and the debtor/landowner to hold that no claim existed that could be treated through a plan. The court explained that because there was no direct creditor-debtor relationship between the purchaser and the landowner, and as a result, the purchaser has no treatable claim in bankruptcy. Stated another way, the tax purchaser was not a “creditor,” did not hold a “claim” against the landowner in bankruptcy, and was therefore, not bound by the terms of the landowner’s Chapter 13 plan. In In re Murray, 276 B.R. 869 (Bankr. N.D.Ill. 2002), the court appeared to reach the opposite conclusion. In this case, the court stated that once the period specified under Illinois law for a debtor to exercise its right to redeem, as extended based upon his Chapter 13 filing, had expired without the debtor making any payment to the tax sale purchaser, the debtor’s interest in the property was extinguished, and he could not satisfy the claim of the tax purchaser by making periodic payments thereto under a debt adjustment plan. (2) At any time after the sale until the right to redeem is foreclosed by the giving of the [barment] notice provided for in Code Section 48-4-45. Therefore, if the property is redeemed, the tax sale is essentially rescinded and a quitclaim deed is executed by the tax sale purchaser back to the owner of the property at the time of levy and sale. At the time Appellant filed for bankruptcy, the right to redeem had not expired and the right to redeem became part of the bankruptcy estate. That right of redemption is subject to a sixty day extension under 11 U.S.C. §108(b). Section 108(b) states that “if applicable nonbankruptcy law * * * fixes a period within which the debtor * * * may * * * cure a default * * * and such period has not expired before the date of the filing of the petition, the trustee may only file, cure, or perform, as the case may be, before the later of–(1) the end of such period, * * *; or (2) 60 days after the order for relief.” While filing a petition for bankruptcy extends the right of redemption sixty days under Section 108(b), the tax sale purchaser does not hold a secured claim subject to modification under Chapter 13. It simply extends the hard deadlines to redeem set out under Georgia law It does not change that the Debtor gets an interest in the property only if the Debtor redeems by the extended date for redemption.